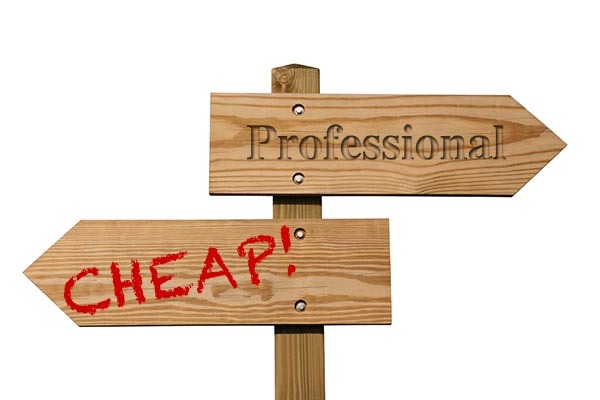 You Think Hiring A Professional Is Expensive?… Wait Till You Hire An Amateur! Professional service providers charge professional rates. That’s a fact. So if you can’t afford them, you can always hire an amateur instead, right?… Well… yes and no… If you want to get your work done quickly and done right, hire a professional. But if you don’t mind a couple of rounds of corrections, maybe inject some fresh ideas and change opinions along the way, then congratulations!… You can get away with a cheaper option of hiring an amateur to do your job instead. What exactly is the difference anyway? What makes a professional, well, a professional? Who determines who are the pros, and who aren’t? The truth is that there’s no real definition of who’s a pro and who’s an amateur. It’s all really up to how you describe yourself actually. There just isn’t any standard definition at all. But there is a loose guideline to determine if you’re a professional in your chosen field or not. Basically, if you’re earning a living doing your activity, then you’re considered a “professional” in your field. It really doesn’t describe how competent you are in that field, just that you do it for a living. Likewise, an amateur in the same field simply denotes that he/she doesn’t do that activity for a living. It’s probably just a hobby, an activity of leisure or fun. At the most maybe offering freelance services in that field, earning some extra pocket money on the side. That’s it… The prefix to your expertise, of whether you’re a pro or not, simply isn’t a measurement of just how technically competent you are. It’s also not a guarantee of how good the results of your work will be. Professionals call themselves that because they’ve invested a lot of time, effort and money to perfect their skills. 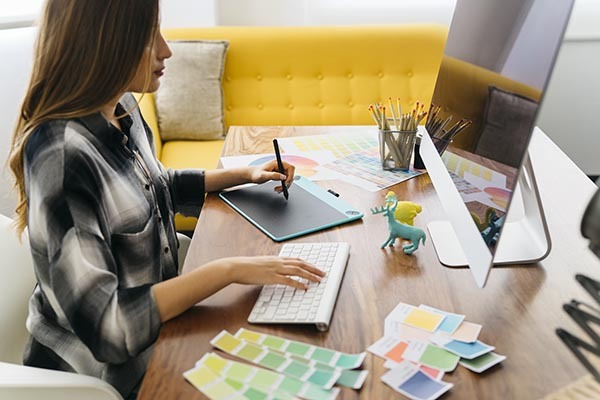 Professional designers spent many years studying for to be qualified as a designer. Let’s not even forget the countless amount of money they’ve invested in their computers, softwares, reference materials, etc. Likewise, professional plumbers also spent countless years in technical college, and even more years as apprentices, before calling themselves professional plumbers. So when they quote you a “professional fee” for their services, that’s because it comes with a promise. And that promise is that you’ll get the best quality of work based on their technical experience and past service record. A professional isn’t ashamed to let you refer to his/her past customers. In fact, he/she will probably be proud to share the past records as his/her success stories. In short, you literary get what you pay for. 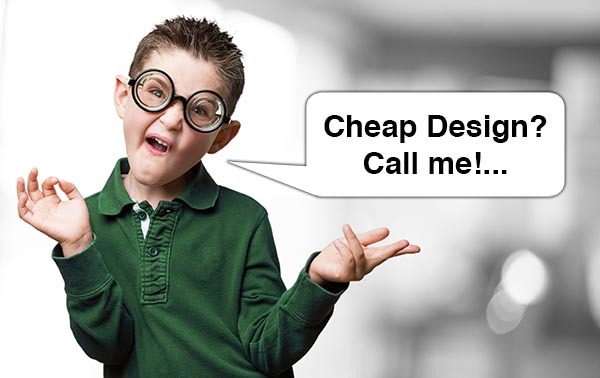 It’s a well known fact – hiring a pro will definitely put a sizeable dent on your budget. Way much more than entrusting your job to an amateur. But there’ll always be lingering questions in your mind. Is there really a noticeable difference? Is paying all that extra money really worth it? Can an amateur not give me the similar result? As with life’s other important questions, there really isn’t an absolute answer to this question. You could get lucky, and hire an amateur who happens to be able to deliver what you expect on the first attempt. Or you could also end up creating a bigger mess in the attempt, which will cost you more money just to clean up the mess… That’s the additional (not to mention unexpected) expenses for trying to save a some money by deciding not to hire a pro to do a pro’s job. Yes, assembling some templates onto a host, and then linking it up to the world-wide-web is easy. But knowing what to design, what not to design and how to meet the business expectations of the client with the resulting website isn’t. But the biggest problem isn’t how good the designer is. It’s that most clients themselves don’t even know what they really want… A blind client engaging an overly eager designer will result in strained relationship farther down the road. The only way to get out of this mess is to engage a professional, who can, and will tell you what you think you want won’t match your own expectations. You need experience to be able to predict what the outcome will be, not just blindly charging to get the job done. It’s common knowledge that printers are doubling up as design houses too. To encourage customers to print with them, they’re throwing in free design work. There’s nothing wrong with this, since they’re professional in printing, right?… Except that they’re not a professional when it comes to graphic/visual design. What you need is print management services. 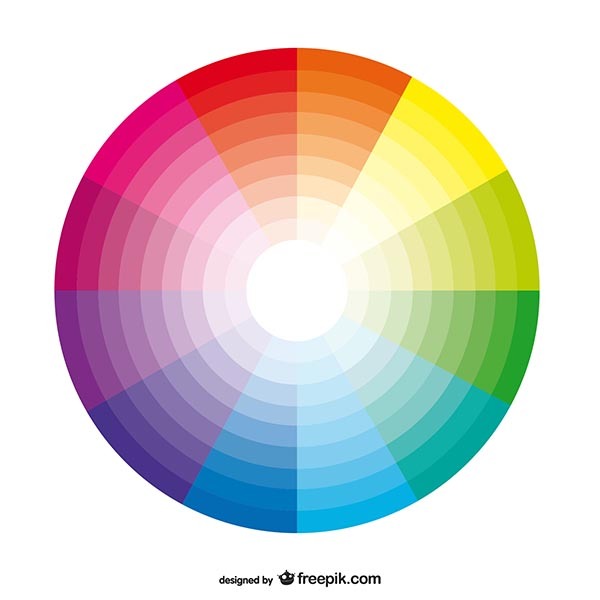 There are printing specialists who specialises in managing the exact shade and tone of your corporate blue. 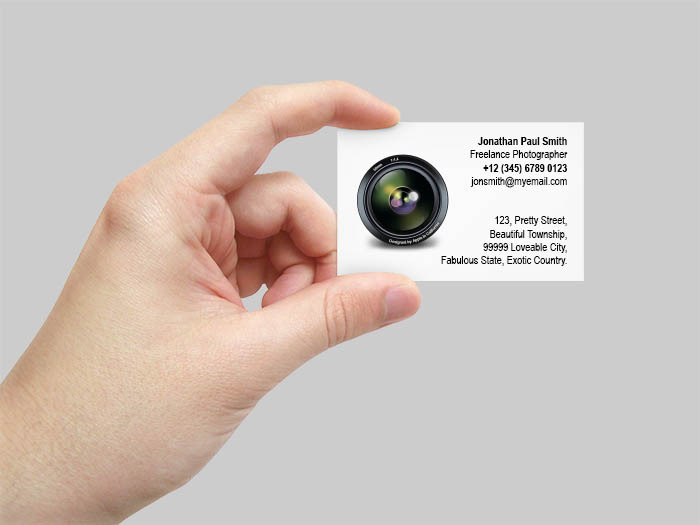 It doesn’t matter whether you’re printing on white art card for your business cards, brown corrugated boxes for your packaging, tarpaulin for your billboards, or even transparencies for your stickers. You’ll get your corporate blue reproduced accurately across the board. And how they do this is nothing short of magic… since the same ink colour, of the same production batch, from the same ink supplier, printed with the same printer, on the same substrate, on the same day, will often yield slight variations. There really is no consistency at all. If you’re dealing directly with the printer, then everything that came out from the business end of the printer shall be delivered to you, errors and all. But if you demand accuracy (after all, it’s your corporate identity’s reputation at stake), then you can’t simply accept them all without close scrutiny of the colour accuracy. And no printer in their right mind would do test print after test print, just to get the colour close enough to what you ordered… At least not without charging you with all of the printing work already done during the adjustment of the colour. Don’t get me wrong, advertising agencies are professionals in their own right. They’re best at what they do, creating catchy and exciting messages that helps to spread our corporate messages out to the masses. So what’s wrong with engaging an ad agency, you might ask?… Absolutely nothing at all… If all you want is their creative might to create exciting messages to convey your corporate message. Ad agencies are great at what they do… Just as long as they stick to their area of expertise. Unfortunately, most clients who engage them do so with absolutely no idea what their corporate direction is. 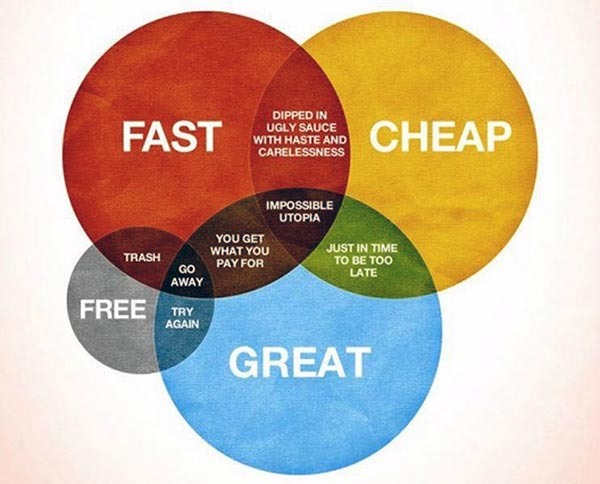 Hence, agencies sometimes double up as a branding consultant (of sorts) to the client. Of course they can write up an advertising brief that addresses your needs… somewhat… But don’t be fooled by the brief, as it was more likely written to justify their advertising creative work downstream. Ad agencies are by no means amateurs. But when it comes to delivering their promises, they’re best at creating exciting and engaging advertisements. So coming up with a branding strategy is nothing more than a job of convenience, as a way to entice the client to sign up with them. What Usually Happens When You Try To Pinch Pennies? 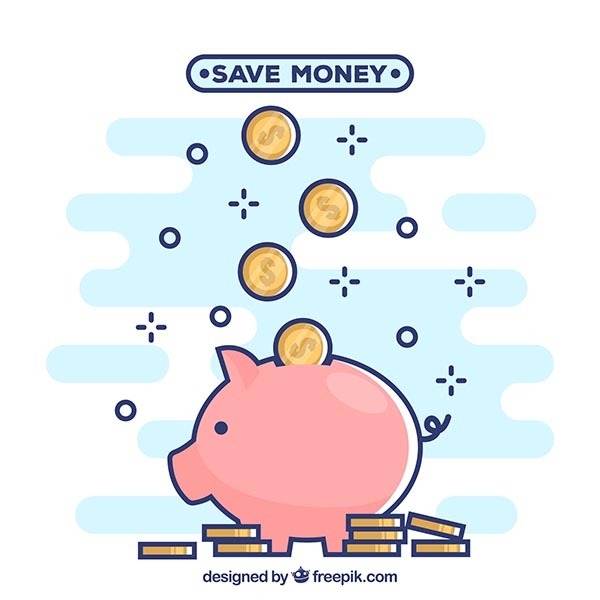 It’s no secret that many businesses try to save money whenever possible. So engaging an amateur to do a job (any job) seems to be a totally logical choice. Except that more often than not, amateurs won’t be able to deliver exactly what you’re looking for, can’t anticipate that the client doesn’t really know what they want in the first place, or worse, screw up halfway through the process due to the lack of experience. In any case, the money that you tried to save by engaging an amateur instead of a professional is now coming back to haunt you. The cost of hiring a professional, and getting the job done properly in the first try, now seems a way cheaper option than all the additional (and unexpected) cost of cleaning up the mess, created when things aren’t going exactly to plan. The problem only is, however, that many clients don’t seem to learn from their mistakes. They continue to flirt with fate, trying to save money when it would be far wiser (not to mention cheaper) to just hire a pro, and get it done right the first time. What’s My Take Away From All This? Always hire a pro to do a pro’s job. The cost may look high on paper, but at least it’s displayed clearly, and there’s no other hidden charges. An amateur’s quote may look cheaper on paper, but there’s always the risk of screw ups in the process, and then there’s the added cost of cleaning up the mess, before you even get your original job delivered. This entry was posted in Branding, Consultancy, Design, Opinion and tagged amateur, cheap, expensive, professional, promise, quality by CHOW Wei-Ming. Bookmark the permalink. ← Previous Previous post: Everybody’s Talking About Branding, What Exactly Is A Brand Anyway? Next → Next post: What’s The Story Of Your Brand?